Translation and notes by Malcolm Archibald. From: Delo Trouda-Probouzhdenie, No. 34 (November–December 1950), pp. 22–23. Russian anti-fascists are struggling against a brutal wave of repression which has featured kidnappings, savage beatings, torture and fabricated court cases. Eleven anti-fascists are facing lengthy jail sentences. We are calling for everybody opposed to racism, xenophobia, fascism and the upsurge of far-right populism sweeping the world to help raise funds. Please donate now at the link below. Solidarity is a weapon. “In January 1929, during the search conducted at the time of my arrest, my memoirs were seized. They were written by me for the 10th anniversary of the October Revolution. 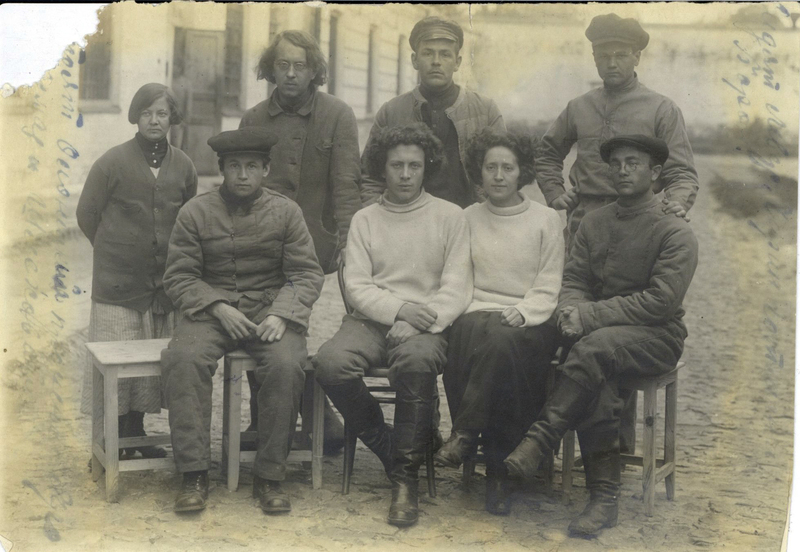 Dora Isaakovna Tsoyrif was born into a Jewish family in Kiev. There is some confusion about the name of her father as her patronymic is sometimes given as Nikolaevna. In addition she used the first name of Dina in preference to Dora. Her sisters and brothers ended up in Odessa, Kiev, and the USA. She graduated from a gymnasium (high school) and became an anarchist communist in 1917. She participated in an anarchist detachment in Ukraine and the Don during the Civil War in 1918.
of those arrested. One victim recently honoured in this way was the anarcho-syndicalist Efrem Rubinchik (1892–1938). At a small ceremony on March 25, 2018, a plaque was installed at 20 Smolensky Boulevard, Moscow. In attendance was Andrey Dolginov, a great-grandson of Efrem Rubinchik, who applied for the plaque. The following is a translation of the press release issued by “Memorial” in connection with this event as well as some other materials relating to his case. Notes have been added by the translator [Malcolm Archibald].